Taking your first step is part of every person’s life. Each must pass through this ritual. We celebrate that moment with this timeless sculpture. Families are the unit of protection from the first steps throughout life. Mom nervously letting go and dad anxiously encouraging. This family circle of love envelopes her as she takes her first steps of faith toward her father. 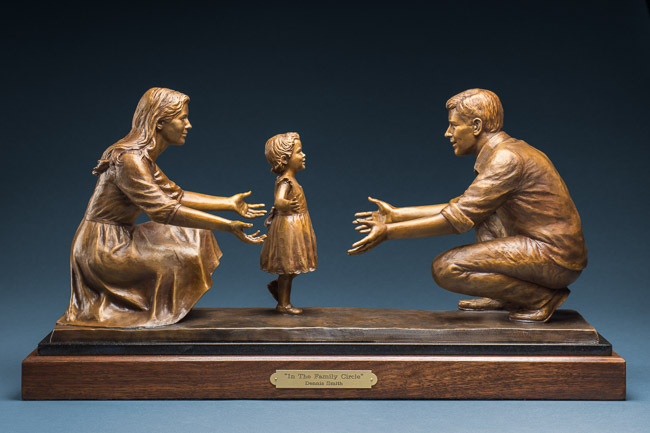 This piece is also available in a large bronze size. For questions about purchasing or commissioning work please contact us.